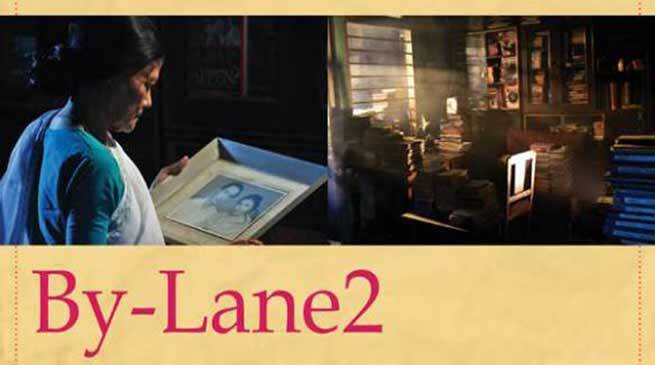 In a heartening news, ‘By-Lane 2’, the short film on the life and works of distinguished litterateur and cine-journalist Pabitra Kumar Deka, has been selected for screening at the prestigious Mumbai International Film Festival (MIFF) 2018. This critically acclaimed short film had received official selections to well over a dozen film festivals, including the Indian Panorama 2013 of the 44th International Film Festival of India, ViBGYOR-2014, Navi Mumbai International Film Festival (NMIFF) 2014, among others. Produced by Prantik Deka under the banner of Roopkar Cine Enterprise, the film also fetched it’s director Utpal Datta the Best Director award at the State Film Awards. The film’s narration was done by Swapnanil Barua, camerawork by Ratul Barman and editing by Moni Rajkonwar. The impressionistic short film has been selected for screening in the Special Package category of the festival, where critically acclaimed films from the North East and Kashmir are included. The other films in the package by directors from Assam are Sanjiv Das’s ‘On a Roll’, Suraj Duwarah’s ‘Clipped Wings’, Surya Hazarika’s ‘Bhupen Hazarika’, Gautam Bora’s ‘Old Man River’, Charu Kamal Hazarika’s ‘Purbarag’, Hemanta Das’s ‘Saving Grace’, Jaicheng Jai Dohutia’s ‘Cuckoo’, Bidyut Kotoky’s ‘Mobile Theatre’ and Dip Bhuyan’s ‘Symphony of Silence’. The festival will screen these films at the JD auditorium of the Films Division complex from January 29 to February 2. It may have been a coincidence, but most recently, the Pabitra Kumar Deka Archive – a first of its kind, was declared open by the Chief Guest Kanak Sen Deka, eminent litterateur, former president of the Asam Sahitya Sabha and editor of Assamese daily Dainik Agradoot, in a function held to mark the death anniversary of Pabitra Kumar Deka, at his Pub-Sarania residence, Guwahati. The archive comprises of books, magazines and periodicals on films, still photographs, cassettes, CDs, VCDs, which have been systematically preserved. In the same event, the Roopkar Awards, instituted in memory of the renowned litterateur and cine-journalist, were also presented to four noted personalities for four consecutive years from 2013 to 2016. Veteran actor-director Kulada Kumar Bhattacharya presented the awards. The awardees are Munin Barua (director/playwright for 2013), Arunlochan Das (film journalist for 2014), Sashi Phukan (Publisher-editor of the magazine ‘Bismoi’ for 2015), Nayan Prasad (actor-drama director-film critic for 2016).